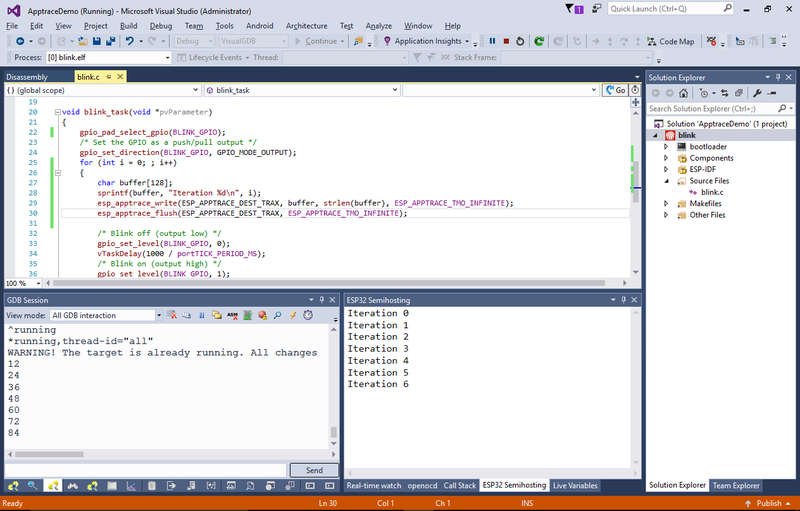 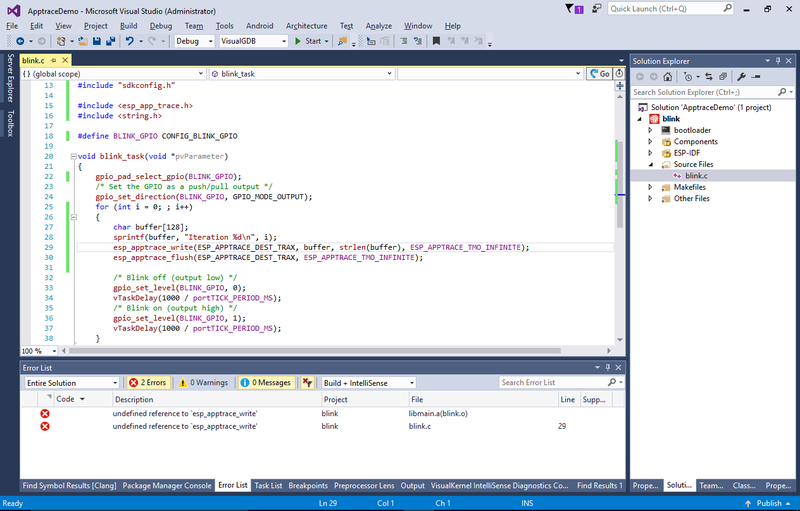 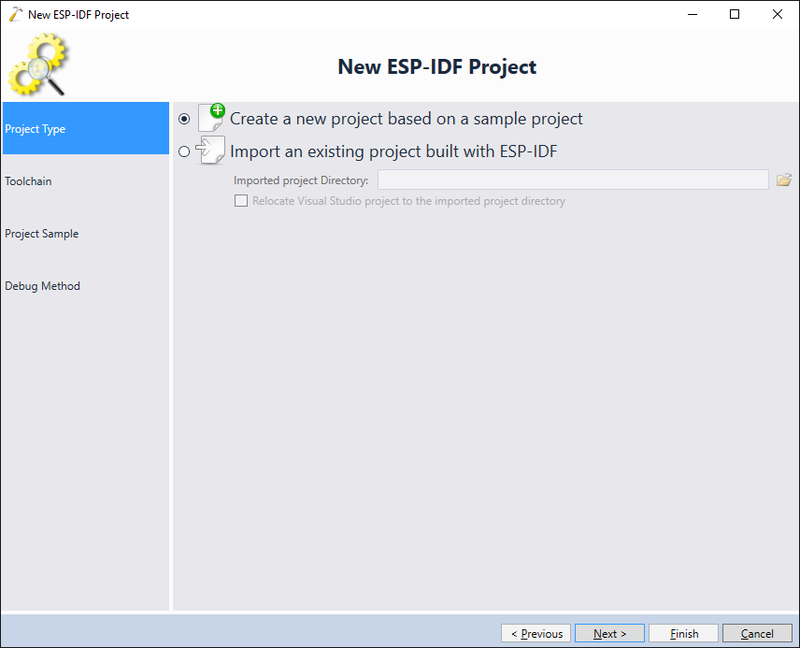 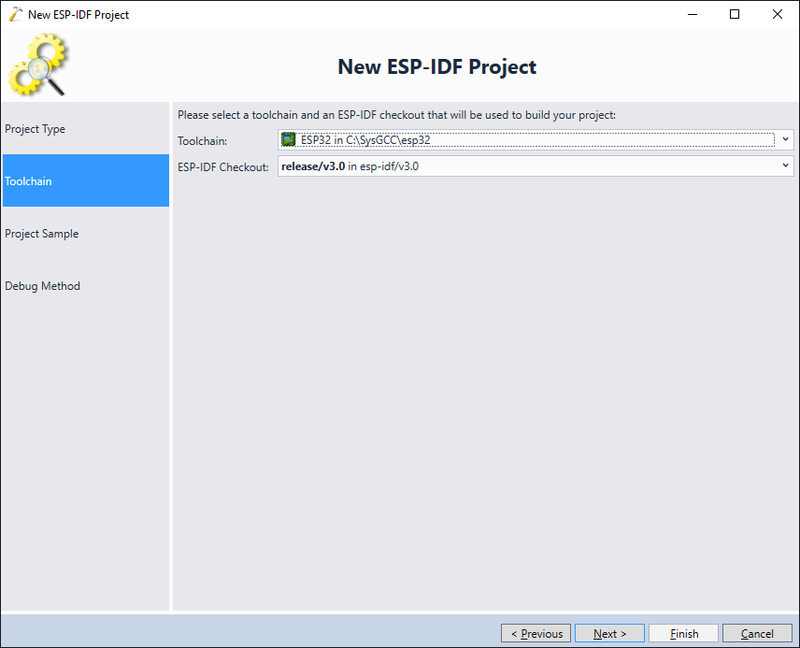 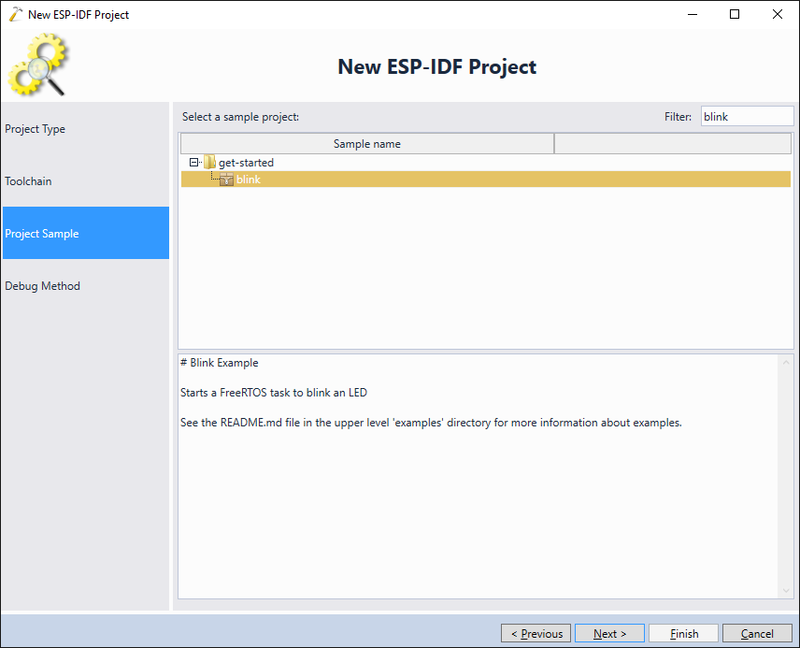 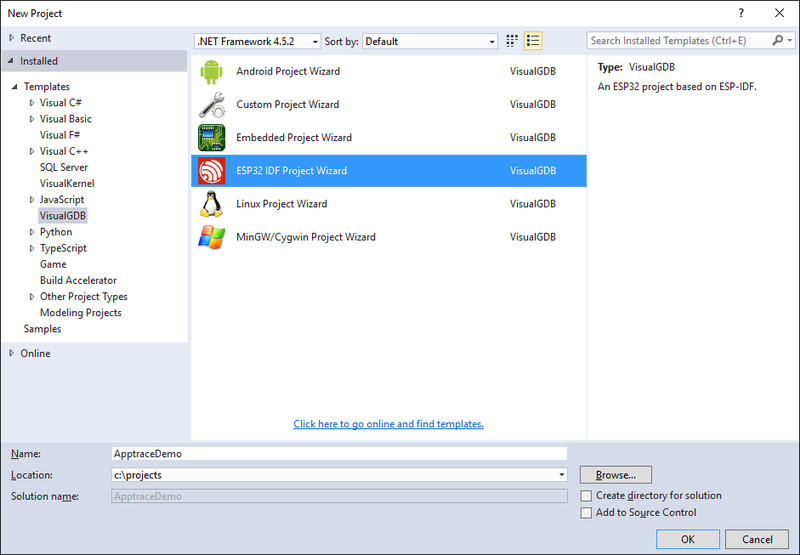 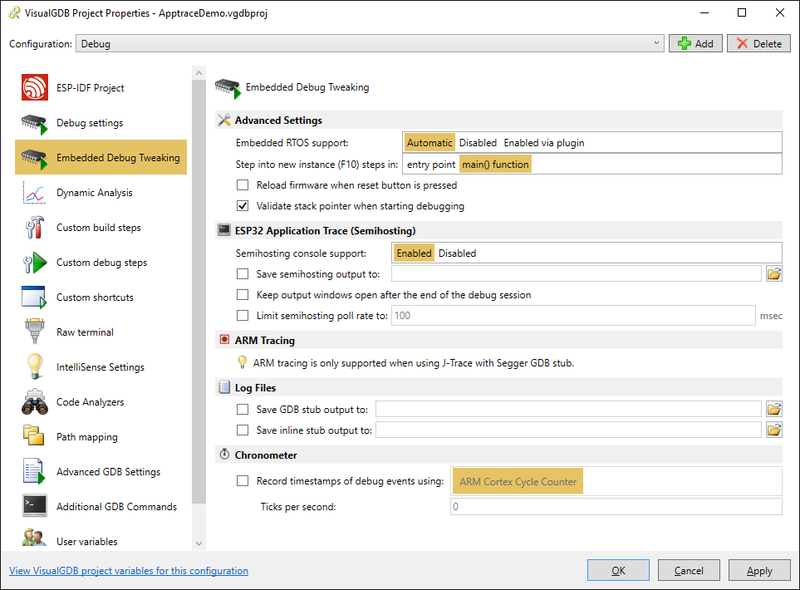 This tutorial shows how to use the ESP-IDF Application Trace feature (apptrace) to route the debug output from your program into Visual Studio. 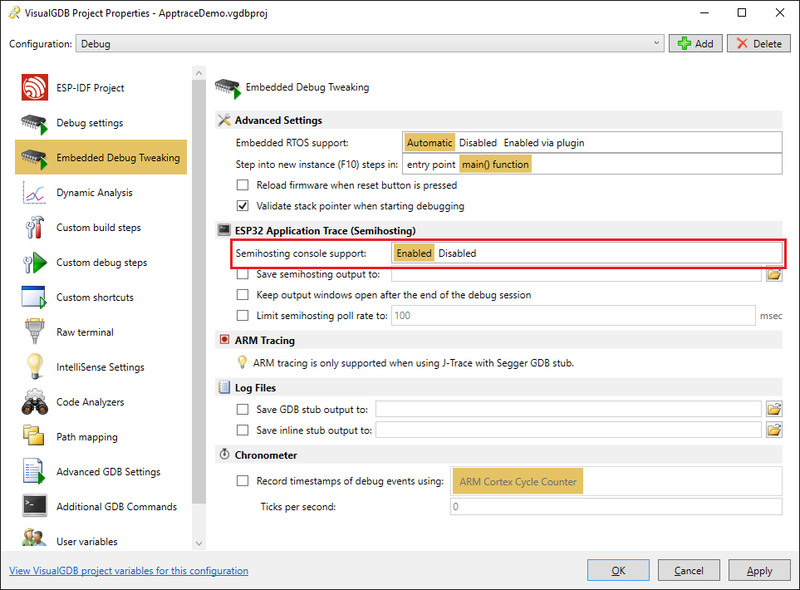 In this tutorial we will create a basic “Blinking LED” project, extend it to produce debug output and show how to view this output with VisualGDB. 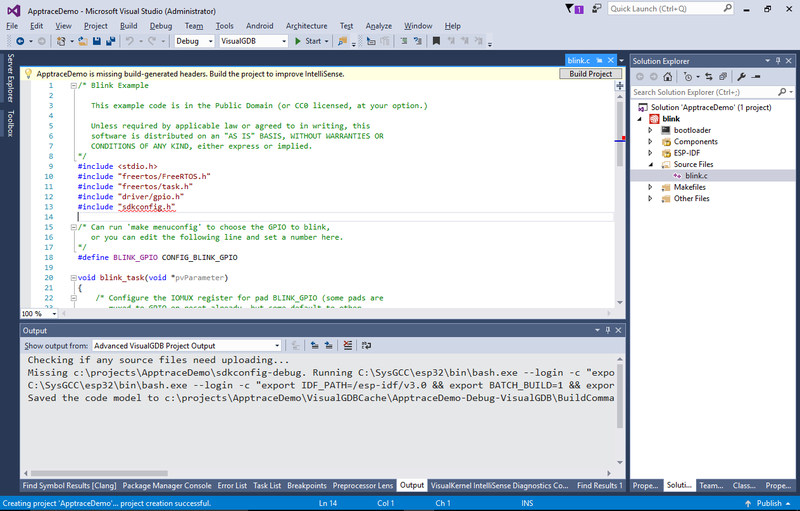 Before you begin, install VisualGDB 5.4 Preview 3 or later. 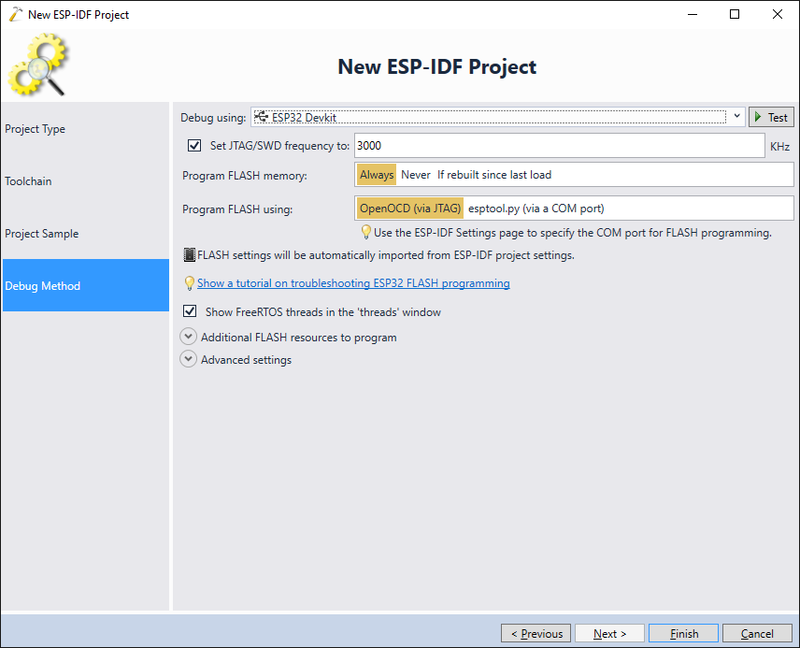 Note that unless you explicitly call esp_apptrace_flush() after writing the debug output, it won’t be immediately sent to VisualGDB. 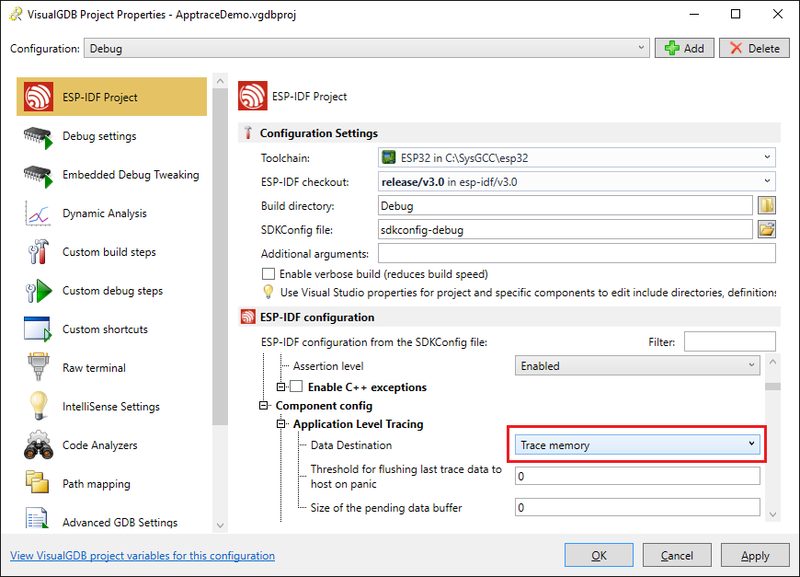 This will enable the apptrace mechanism – any data stored via esp_apptrace_write() function will be placed into a special trace buffer that could be read by VisualGDB without stopping your program.